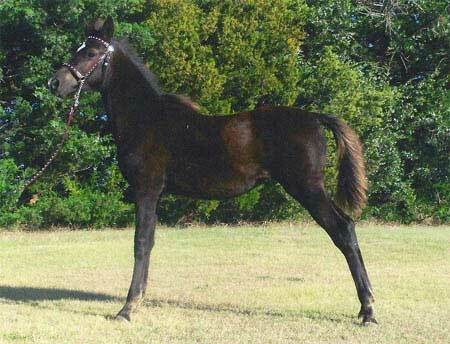 Here is a pure black Funquest mare sired by Funquest Black Hawk. She has many of the qualities of the Funquest lineage was known for, such as the beautiful dished head, bulging eye, and the floating trot. With such a outstanding pedigree, personality and conformation, she is a definite asset to our herd.